Angelo Didio, winner of the $365 No-Limit Hold 'em event. 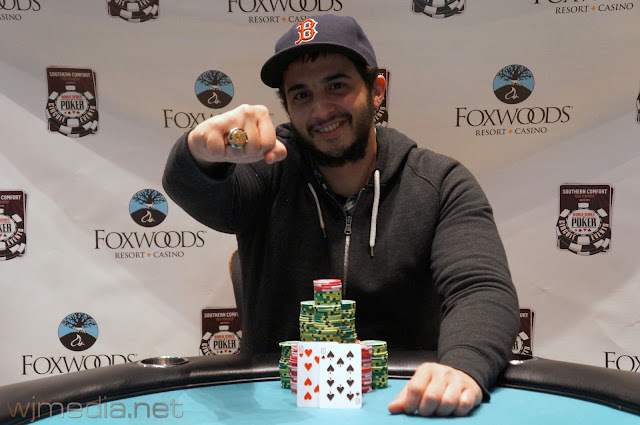 Congratulations to Angelo Didio, winner of the $365 No-lLimit Hold 'em event at the Foxwoods WSOP Circuit. He takes home $25,668 and the WSOP Circuit Ring for his victory. Angelo Didio raises to 60,000 from the button and Thomas Harte calls. The flop comes [Ah][Tc][4d] and both players check. The turn is the [5h] and Harte fires 100,000. Didio calls and the river is the [5s]. Harte moves all-in for his last 400,000 and is immediately called by Didio. Harte rivers trips fives but Didio makes a full house to win the pot. 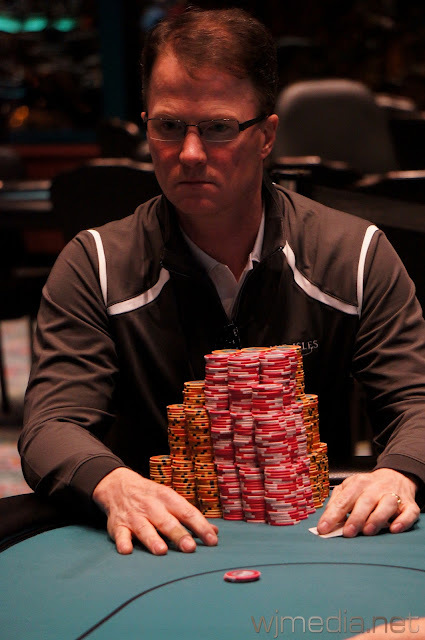 Thomas Harte is eliminated in 2nd place, taking home $15,867. On a board reading [Jd][4d][2c], Howard Levinson moves all-in and is called by Angelo Didio. The turn is the [5h] and the river comes the [8d]. 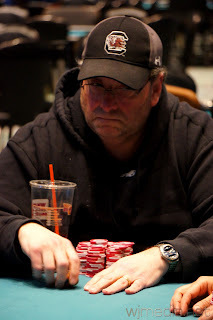 Didio takes the pot, eliminating Levinson from the $365 No-Limit Hold 'em event in 3rd place for $11,667. We have reached the final table of the $365 No-Limit Hold 'em event at the Foxwoods WSOP Circuit. Happy Easter to all our loyal Foxwoods Poker Blog fans! 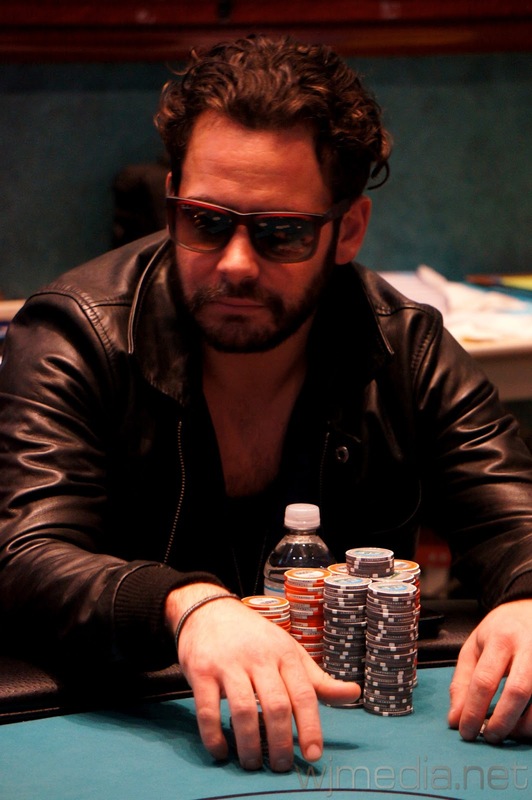 The final day of the $365 No-Limit Hold 'em event at the Foxwoods World Series of Poker Circuit is now underway. There are 17 players remaining and we will play down to a winner today. Daniel Chan, winner of the $1,125 No-Limit Hold 'em event. Congratulations to Daniel Chan, winner of the $1,125 No-Limit Hold 'em event at the Foxwoods WSOP Circuit Series. 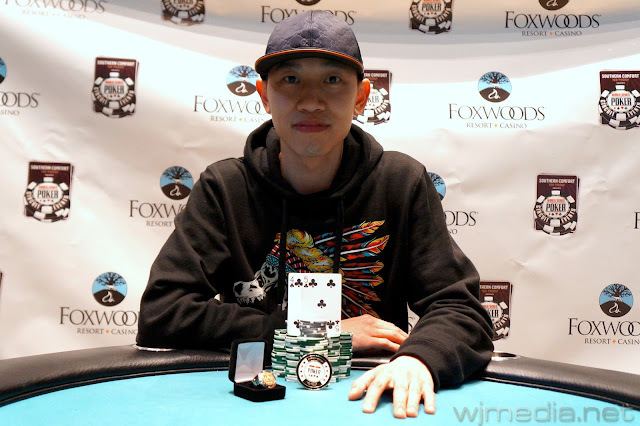 For his victory, Chan takes home $48,521 and his first World Series of Poker Circuit Ring. 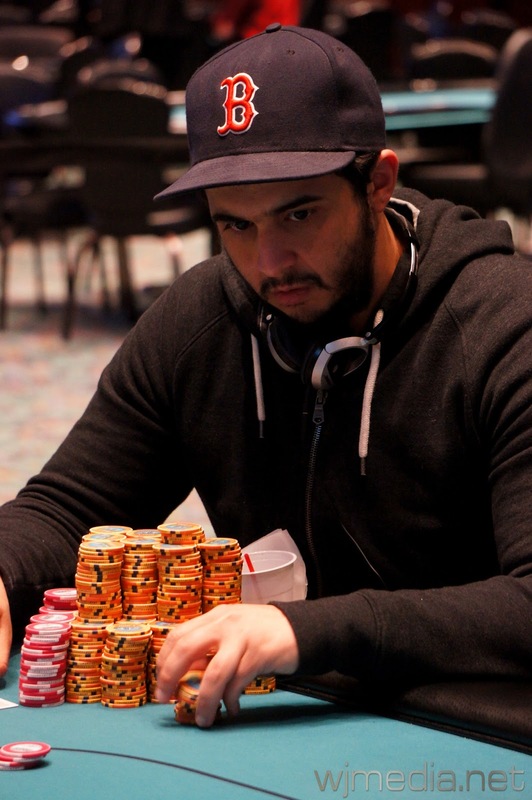 Chip leader Daniel Chan moves all-in from the button and a short-stacked Ralph Massey makes the call. Massey is in the lead and looks to double up until the board runs out [7s][5s][4d][2d][Ad]. Chan makes two pair to win the pot and eliminate Massey in 2nd place for $29,993.